Birmingham’s craft beer scene has grown in tandem with our music culture, and the Magic City’s taprooms have allowed the natural combination of live music and libations. Drawing inspiration from the eponymous river, Cahaba Brewing Company provides a delta where two of Birmingham’s favorite institutions run together. Cahaba’s distinctive beers sprang from the homebrews of Head Brewer/Managing Partner Eric Meyer and Entertainment Director Andy Gwaltney. “Eric had a passion for lagers and European-influenced ales while I was passionate about stouts, IPA, pale, and Belgian ales,” says Gwaltney. 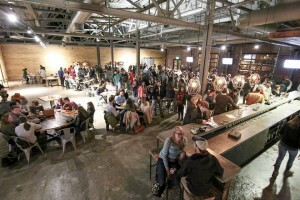 In 2011, the brewers set plans in motion to make their craft beers available to the public. After finding a convenient location near Pepper Place and acquiring equipment from Huntsville’s Straight to Ale, Cahaba Brewing Company opened its doors in September 2012. Cahaba Brewing’s year-round lineup features the American Blonde Ale, a light, golden brew that’s refreshing in the summer, soothing in the winter. The Liquidambar strikes a diplomatic balance between malt and hops, suited for a wide variety of tastes. The brewery’s mainstay dark beer, the Ryzome Rye Stout, is a coffee-and-chocolate-tinged sipper that appeals to stout fans as well as lighter palates. Seasonal offerings include a Kiwi Kolsch and a wonderful Oktoberfest that has quickly become a fall favorite. 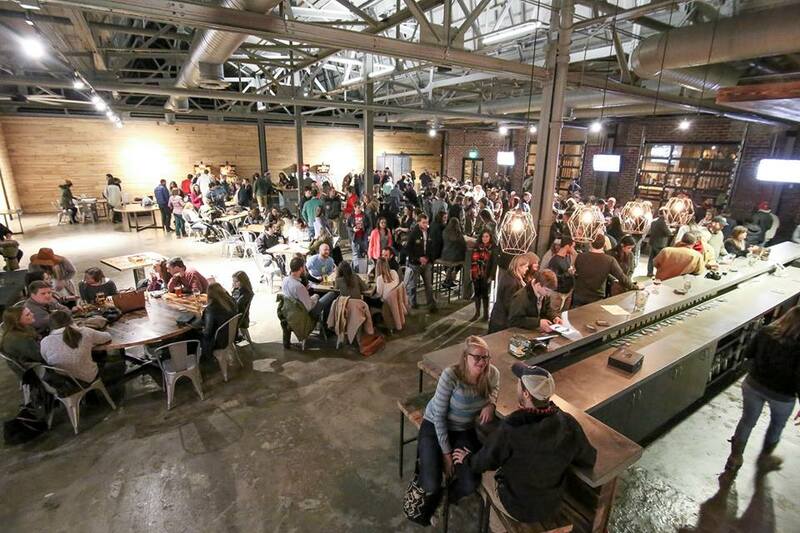 The taproom has become an ideal spot to enjoy Birmingham’s finely-crafted music as well. “It’s a great relationship between craft beer and local music,” says Gwaltney. “We love hosting local musicians and helping raise the awareness of our local talent.” On any given weekend, guests can enjoy a well-crafted draft along with a solo blues act, dynamic acoustic ensemble, or rock band. The atmosphere is always inviting and suitable for families (even well-behaved pets). “We pride ourselves on being warm, friendly, and welcoming to all while providing an exceptional craft beer experience,” says Gwaltney. In addition to outstanding beers and excellent live music, the venue features other diversions like skee ball machines. The bay doors often open after work hours for one of Birmingham’s beloved food trucks. The taproom is now releasing a new small batch every Friday. Each week, visitors are treated to a new custom brew, including oak brown ales, coconut stouts, sours, and more. The special releases are brewed in limited batches, often gone by Saturday. In early 2015, Cahaba Brewing began canning their beer, starting with the popular Blonde Ale. The remainder of their year-round offerings will follow soon. On January 19, 2016, the brewers officially relocated to the historic Continental Gin complex in Avondale. The new digs offer space for increased production capacity, ample parking, and even outdoor lounging. You can follow the brewery’s updates and events on Facebook and Twitter. Cahaba Brewing is located at 4500 5th Ave S, Birmingham, AL 35222. Photos by Cody Smith of Total Exposure Photography.